Provide comfort for the family of Patricia Wetrosky with a meaningful gesture of sympathy. Patricia G. Wetrosky, 88, of Le Mars, Iowa passed away on Sunday, February 3, 2019 at Happy Siesta Care Center in Remsen, Iowa. Funeral services will take place at 10:30 a.m. on Friday, February 8, 2019 at the Presbyterian United Church of Christ in Le Mars. Rev. Janis Christensen will officiate. Burial will follow at Memorial Cemetery in Le Mars. Visitation will begin at 2:00 p.m. on Thursday, February 7, 2019 at the Mauer – Johnson Funeral Home in Le Mars. The family will be present to greet friends from 5-7 p.m. There will also be one hour of visitation at the church prior to the funeral service on Friday. Patricia Genevieve Wetrosky was born on February 2, 1931 in Le Mars, Iowa, the daughter of Lawrence J. and Leona M. (Ruba) Laddusaw. She graduated from St. Joseph Catholic School in Le Mars. During school, Patricia worked as a nurses’ aid at Sacred Heart Hospital. On May 15, 1951, Patricia and Duane M. Wetrosky were united in marriage at St. John’s Lutheran Church in Le Mars. They made their home on a farm near Akron, Iowa. Together they farmed and raised their family until the fall of 1990 when they moved to Le Mars. Duane passed away on January 15, 1991. Patricia also worked as a CNA at the Akron Care Center starting in the late 1980’s. She would work there until 1992 when she retired. Patricia moved to Prime Living in Le Mars in 2016. She became a resident at Happy Siesta Care Center in Remsen, Iowa in October of 2017. Patricia was a member of the Eagles’ Club Auxiliary. She enjoyed sewing, drawing and playing Bingo. Her greatest joy was attending her grandchildren’s events. She will be lovingly remembered by her children, David (Marsha) Wetrosky of Nebraska City, NE, Greg (Lori) Wetrosky of Akron, IA and Karen (Harold) Peters of Le Mars, IA; 11 grandchildren, Trudy (Chad) Poeckes, Cory (Jenni) Wetrosky, Kym (Raul) Espinoza, Alex Wetrosky, Jayde Wetrosky, Audra Wetrosky, Jodi Wetrosky, Jacob Peters, Ava Wetrosky, Jamie (Krista) Vander Helm and Nathan Vander Helm; 13 great-grandchildren, Briana, Tyler, Taye, Hayli, Ryann, Kinze, Kassidy, Paisley, Kaleb, Peyton, Ellie, Alan and Maverick; a brother, Don (Micki) Laddusaw of Sioux Falls, SD; two sisters-in-law, Betty Laddusaw of Spencer, IA and Marjorie Laddusaw of Kingsley, IA; and several nieces and nephews. Patricia was preceded in death by her parents; husband, Duane; brothers, Robert, William and James Laddusaw; and a sister, Shirley Custer. To send flowers in memory of Patricia Genevieve Wetrosky (Laddusaw), please visit our Heartfelt Sympathies Store. The family will be present to greet friends from 5-7 p.m. There will also be one hour of visitation at the church prior to the funeral service on Friday. 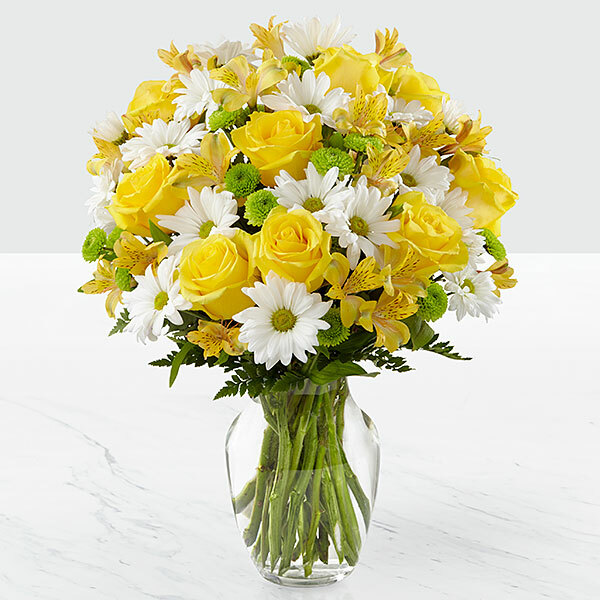 The Foxes, the Likes, and the Allens, Edward Reed, and others have sent flowers to the family of Patricia Genevieve Wetrosky (Laddusaw). 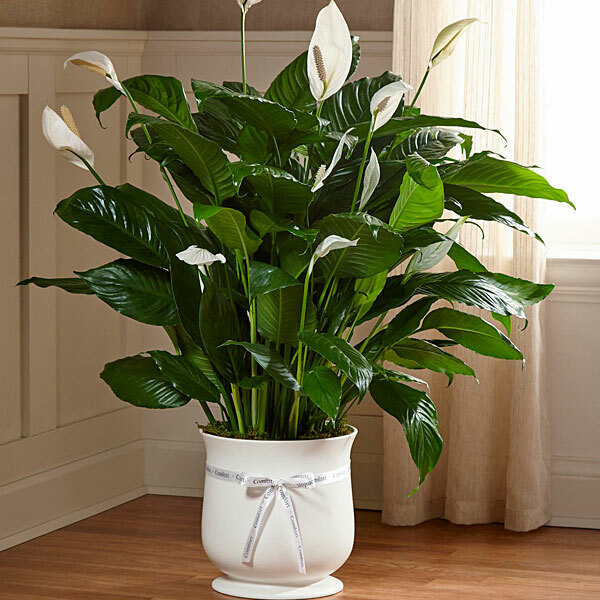 The Foxes, the Likes, and the Allens purchased the The FTD Comfort Planter for the family of Patricia Wetrosky. Heartfelt Sympathies Store purchased flowers for the family of Patricia Wetrosky. Edward Reed purchased flowers for the family of Patricia Wetrosky.